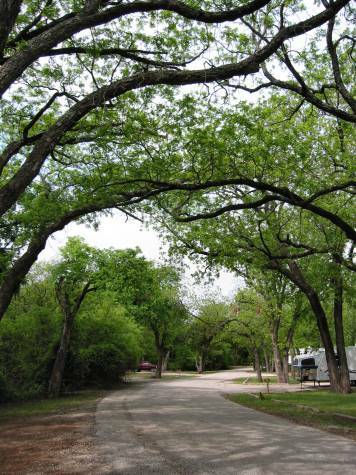 Abilene State Park is located in Southern Taylor County near Buffalo Gap, Texas. From the intersection of the Winters Freeway (Hwy. 83/84) take the Buffalo Gap Exit (Hwy. 89) which runs by the Mall. 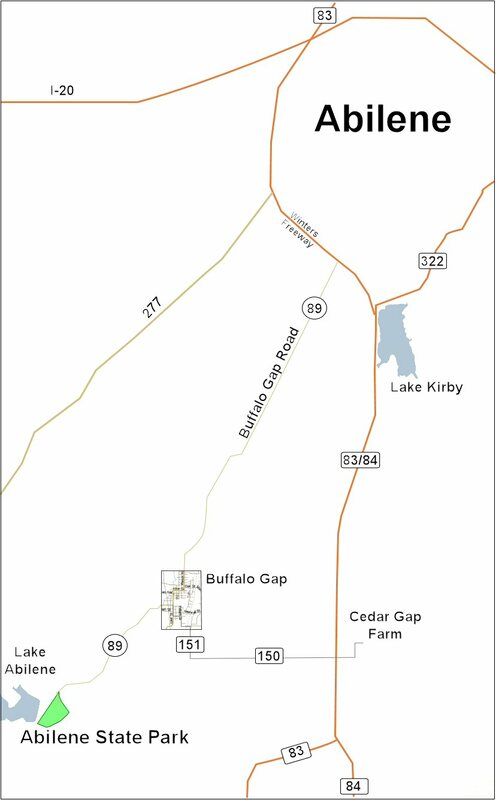 Travel south on 89 approximately 10 miles until you come to Buffalo Gap. Highway 89 makes a right turn in Buffalo Gap so watch for the sign. Then proceed south for another 3.9 miles to the entrance of the State Park. If you get to the park early (before campers are up and about) the best place to bird is along the riparian habitat in the Day Use/Picnic Area. 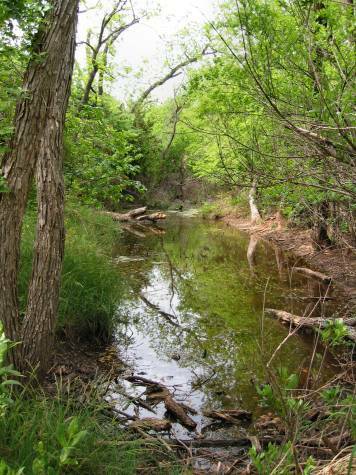 Elm Creek runs through the entire State Park and when water is in the creek bed, birds are active. The following photo shows Elm Creek along Eagle Trail. Warblers and vireos can be found in the spring and fall. Summer breeders are Mississippi Kite, Summer Tanager, Painted Bunting, Pyrrhuloxia, Cactus Wren, Bewick’s and Carolina Wrens, Bell’s Vireo, Blue Grosbeak, Bullock’s Oriole, Scrub Jay and the usual suspects. Most winters you can find several different sparrows, House Wren, Winter Wren, Brown Thrasher, White-throated Sparrow, Golden-crowned Kinglet, and Brown Creeper. Eastern Bluebirds breed in the area and Mountain Bluebirds and Western Bluebirds have been seen occasionally “across the street” at Lake Abilene during the winter months. Near the water tower (Black Vultures hang out here in winter) on Eagle Trail is a good spot to bird. Seepage from Lake Abilene trickles down to this area and if you just stand and watch for awhile you should see some birds. In the spring we found Chihuahuan Ravens nesting on the water tower. 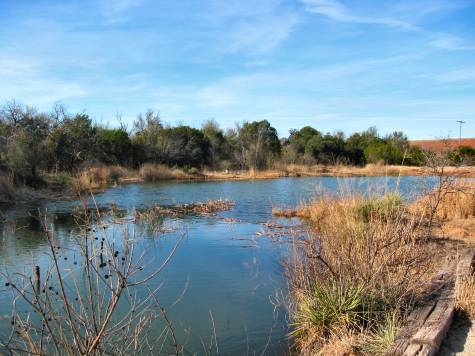 Below is a photo of Buffalo Wallow, the local fishing hole. Birding is good here before the fish start biting. This photo was taken in the winter. 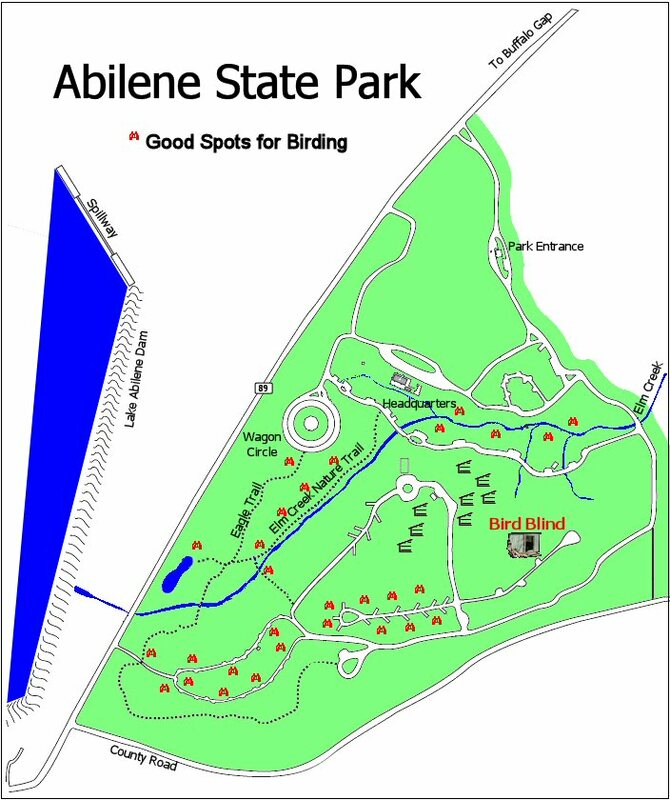 See why Abilene State Park is one of our favorite places to bird.